Many commanders might not be aware of the fact that Elite actually has a very rich lore. Most of it dates back to the early titles in the series but some of the more recent events were brought up by Drew Wager – a sci-fi writer who even has a full series of books on Elite! One of the biggest mysteries in Elite: Dangerous has to be the Formidine Rift – a part of space around 10,000 light-years away from the bubble located in the Upper 2nd quadrant of our galaxy. It is said that the mystery behind it has been in game ever since version 1.0 but we got some new info, and even actual locations just recently! Commanders have been searching the Rift for years now without much success up until the end of 2016. when finally, some navigation beacons got discovered in sectors located in that area of space. Those beacons had encoded location coordinates which were quickly revealed to the public. The excitement grew instantly only to be shattered when commanders found out that the locations hinted in the puzzles were bugged, and the game would simply crash when you got there. As mentioned before – the whole story behind the Formidine Rift mystery was written by Drew Wager in his book called Elite: Reclamation, which is one of several books in his series on Elite. No one knows for sure what actually happened in the Rift but we are closer to finding out than ever before. With the game patched and not crashing any more – commanders have been able to find a unique settlement down on one of the planets in the Formidine Rift region, while another has been found in Conflux. Unlike the stations known to the bubble, these have a specific design and are abandoned. If you land down and get your SRV out for a spin, you will find multiple log entries spread around the complex that give out more info about what was happening with the lost inhabitants. What we currently know is that 3 separate expeditions have been sent into 3 different regions of space: The Formidine Rift, Conflux and Hawkin’s gap. Similar establishments have been found in all those regions as well. The messages start as regular logs talking about the long trip and space madness, but all of them mention FSD failures and whichspace problems people on the expedition experienced. Is it possible that the members of the expedition encountered same ships that have been pulling people out of whichspace just outside the bubble? If so – how come they started doing it just now? Have in mind that the Formidine Rift expedition started over 30 years ago when the human race didn’t have the technology we have now in-game and their trip took much longer then it takes us now. 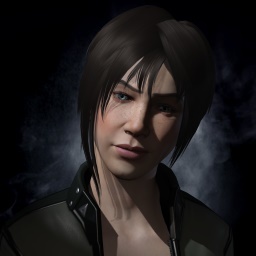 In any case – it looks like the Formidine mystery will still be around for a while. Until then – we have multiple logs to ponder about (thnx to Cmdr Jaiotu for sorting them in chronological order). "Damn we've come a long way. I really should have looked at the galactic map before I signed up for this. Weeks of endless travel and hyperspace jumps just to get into the vicinity of the place, and that's before we get down to the work." "Cargo hold is rammed full of strange tech. Looks like a bunch of satellites to me, but it's all hush hush. Normal crew like me ain't allowed anywhere near them. Don't know what they're for, other than we have to drop them off in very specific locations. Weird, eh?" "Been travelling for weeks. Passed this amazing twin nebula just recently, about the only interesting sight on this whole trip. We are a long way out now. I don't think anyone else has been this far. Still, pay is good!" "Signed on for this one as I had the exploration bug, but we're just jumping and jumping. We're not staying in systems to survey, just refuelling as fast as we can and then it's back into witch-space. We're spending more time there than in real space. Someone is in a hurry." "Reminds me of what my father told me about witch-space. it's haunted. There's weird lights, shifting clouds, who knows what they are. Makes you wonder whether we should be out here at all. So much stuff we just don't understand." "Stars have thinned out and we've started dropping our cargo. Looks like some kind of long-range beacon to me. It's all hush-hush, no questions asked stuff. Heard some of the senior bods talking about a Dynasty project. Careless talk and all that..."
"Bored rigid now, can't wait to turn around and go home. I don't care how good the money is, nothing is worth this tedium. We haven't even started the return journey yet... Randomius Factoria - save me!" "Nothing prepared me for the boredom. It's very dark out here. Really dark... darker than normal space. There's hardly any stars ahead of us, it's just blackness... the void." "Witch-space is different out here, there's something odd, those lights we were seeing are less frequent now, but they seem to be hanging around, almost as if they're following us. Maybe I'm going nuts." "Witch-space once again. We're almost to our destination in the Conflux area now. That's odd... looks like... can't be! You can't be interdicted in witch-space... that's impossible! We're back in normal space. Systems off-line, no power, what in Randomius is that..."
"Picked up some kind of signal yesterday and it looks like the crew weren't expecting it. Got them proper rattled. There's definitely something very strange about this area of space. Won't be sad to turn around and head home. "Still, it could be worse! I could have pulled the Formidine Rift gig. Rumour is they're having to double up on ships for that one as the crews are going void-mad and ejecting themselves into space becuase they've seen ghosts. Word is there's something out there." "Last batch of cargo due today, but the hyperdrive has malfunctioned. We tried jumping and got yanked straight back out. So we're stuck here, Randomius know where..."
"We can't fix it. Hyperdrive is dead. Lucky we're in a system with a habitable world. We've sent a distress call but who knows if anyone will here it. We're going to abandon ship. If anyone finds this, we're in..." AUTOMATED TELEMETRY REPORT: POWER FAILURE. If you want to keep up with the findings on the subject - make sure to check out the massive thread on the official forums.